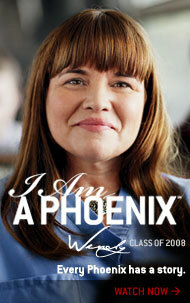 University of Phoenix is one of the most regarded schools whether in campus or online. They offer online education for bachelor degree, masters degree and doctorate degree. With the proven online degree programs, you are assured that you are making the right decision. In this article, University of Phoenix bachelor admission will be discussed. Must have a high school diploma, California High School Proficiency Examination certificate, GED or secondary school equivalent for foreign students. If in case the applicant does not have a GED, then it can be arranged through the applicant’s state GED administrator’s office or search for the closest GED testing center. Must be presently employed. If this is not the case, the applicant must be able to have an access to an organizational environment where the things learned from University of Phoenix can be applied. For undergraduate applicants who have no more than 24 transferable credits must be employed and must have at least 1 year of full-time work experience. The applicant must be a permanent resident or citizen of the United States or must have an approved visa if the applicant plans to attend a campus situated in the U.S.
Must complete needed admission forms, provide high school graduation documents if the applicant is a resident of South Carolina o Nevada, and provide all test scores and official transcripts from universities or colleges attended. If enrolling for a campus-based program and a resident of Tennessee or Oklahoma, the applicant must submit immunization documents. Must have a passing score in TOEFL, the Berlitz® Online English Proficiency Exam, the Test of English as an International Communication (TOEIC). For non-native English speakers must pass the International English Language Testing System (IELTS). University of Phoenix bachelor admission requirements must be accomplished and will be reviewed. The Admission officer will contact the applicant if there are issues with the documents passed.